Apple Country Log Cabin Sales can make your dream a reality. If you’re considering a log home, contact Log Cabin Sales. We offer turn-key construction within a 100 mile radius of Asheville, dry-in construction in most states or we can ship your kit anywhere you desire. We build with aromatic cedar and deep-water red cypress, the best woods for repelling insects and preventing decay. 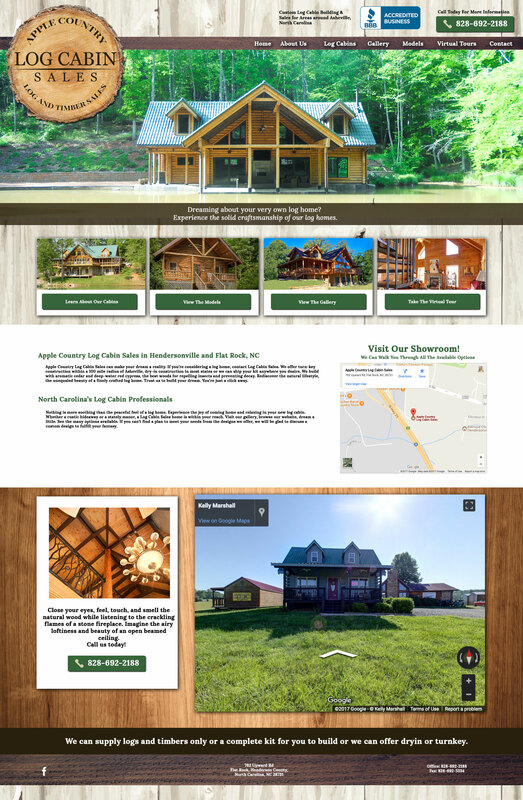 Rediscover the natural lifestyle, the unequaled beauty of a finely crafted log home. Trust us to build your dream. You’re just a click away.